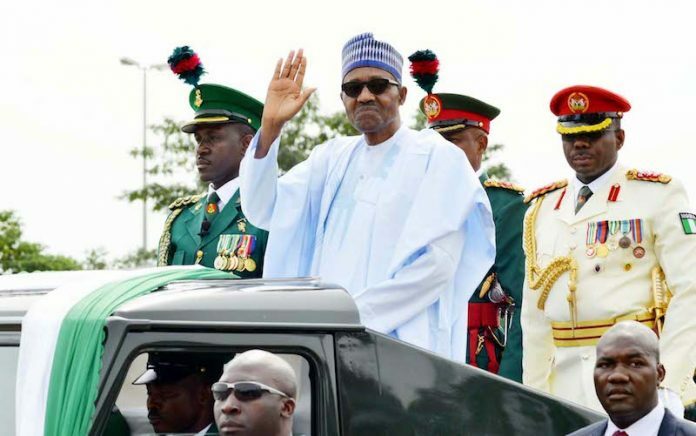 President Muhamadu Buhari wave to the crowd as he inspect the Parade to Mmark the 58th Independent celebration at the Eagles Square Abuja …yesterday (1ST. OCTOBER 2018). GODWIN OMOIGUI. Iobserved as the annual ritual of Independence Day was set in motion this past week and I was more than a little peeved. All the backslapping and chest thumping by the Buhari administration was an ordeal for me. Do not get me wrong, I love my country. I am a patriot. But I am getting a little bit tired of pretending every year. October 1 has become a farce and moreso under Buhari’s Presidency. I mean, We are still dependent on others for fuel even when we are one of the world’s largest oil exporters. We are dependent on food imports to feed ourselves. We have no national airline or shipping line. We have swapped economic dependence on the West for slavish dependence on China. We cannot even make our own arms. Our elite and politicians still keep their legally and illegally gotten money in the West (including and especially the Buhari administration). Even our President is dependent on foreign healthcare. So, forgive me, but I don’t see much Independence to celebrate on October 1. In fact, this particular Independence Day was certainly not a day for celebration. Two months before the day, Nigeria was rated by the World Poverty Clock and the World Economic Forum as the world headquarters for extreme poverty. This is the same country that was celebrated by the International Food Policy Research Institute for rolling back hunger in 2013. As if having the World Record for extreme poverty is not bad enough, we have also overtaken India as the nation with the highest number of out of school children (13.2 million). Since these two negative indices were released, the Buhari administration has not responded to them. They have not come up with strategies to address these disastrous situations. No Taskforce was set up to get Nigerians out of poverty or our children back in school. But we do have the time to celebrate. To spend hundreds of millions on ceremonies to highlight what a spectacular failure we have made of ourselves after 58 years of so-called dependence. 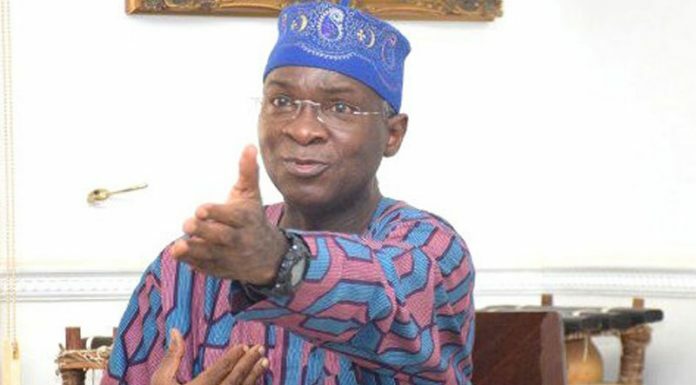 The ridiculous level that we have even gotten to was recently highlighted by the Nigerian minister of health who proudly said on camera that our medical students need not all become doctors. He opined, with glee, that they could be farmers or politicians. How could the health minister of a country with one of the highest doctor to patient ratios in the world be that flippant and nonchalant? It is reported that 2,000 Nigerian doctors leave for greener pastures abroad and I can’t blame them. I would be tempted to do the same if Professor Adewole was the head of the ministry in charge of my craft. When Professor Adewale’s boss, Muhammadu Buhari, and his son, Yusuf, needed urgent medical care, they ran to Europe with their tails between their legs. Why wouldn’t they, when they have unleashed Professor Adewole on us? At Independence in 1960, the Saudi Royal Family patronised University College Hospital Ibadan, for their healthcare. 58 years later, our President patronises the UK for his healthcare and his wife complains that State House clinic has no drugs, so what’s happy about Independence Day? Should we be celebrating independence or dependence? Even in death, the US President, Donald Trump, vindicated Nzeogwu when he took one look at our President and called him “lifeless”. Many people appear to have forgotten that in the years just before Muhammadu Buhari assumed the reins of power from Goodluck Jonathan, Nigeria was rated by Gallup as the happiest nation in the world. But in just three years of Buharinomics, the once happiest nation in the world is now the world’s headquarters for extreme poverty. And this is the same Buhari celebrating our independence? A man who cannot independently rule. A man who depends on cabals to utilise his executive powers is the same man who is celebrating independence. In fact, Buhari is so dependent, that about the only thing he can do by himself is blame others for his woes. Let me just conclude by saying that only two things are growing in Buhari’s Nigeria. Our population and our poverty. By the years 2050, the United Nations project that Nigeria’s population would be 400 million. If we can not feed ourselves in 2018 when we are 190 million, is it by 2050 that we shall achieve that when we will have double the mouths to feed? “The people who cast the votes decide nothing. The people who count the votes decide everything”-Joseph Stalin. He might have well have been talking about the Osun rerun and other elections held in Buhari’s Nigeria! Previous articleGov. Ambode’s Ouster; is this the End for Niyi Makanjuola’s Visionscape?